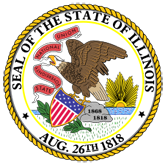 Press Release: The Illinois Department of Veterans Affairs is asking for nominations for the Illinois Veterans Patriotic Volunteer and Appreciation Award and the Illinois Veterans Business Appreciation Award. 1. Illinois Department of Veterans Affairs Asks for Nominations of Veteran & Business of the Year (16-0497-IDVA_Award_Nominations.pdf).